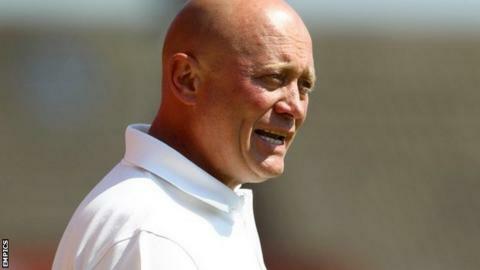 Alfreton Town manager Nicky Law has agreed a new one-year rolling contract. The 52-year-old has been in charge of the Reds since 2007 and this season guided them to 11th place in the Conference Premier, their highest placing in the football pyramid. Chairman Wayne Bradley said: "We are delighted Nicky has agreed to carry on the excellent foundations he's built." Last week Bradley put the club up for sale because he believes he has taken them as far as he can. But he said: "Nicky's decision means it is business as usual as far as we are concerned. "Nicky is up for the challenge, he accepts where we are at and he is already busily on with shaping his retention list and list of wanted players for the season ahead." Law is now set to become the longest-serving manager in Alfreton's history in December, when he will surpass Jim Bullions. Bullions managed the Reds for seven-and-a-half years from 1961 to September 1968.